If you haven't been by the Ivy Scraps Blog, you should head on over there. 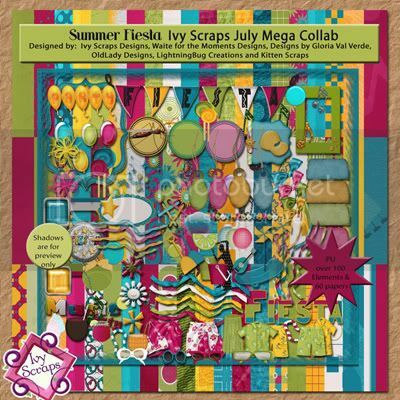 One of the store CT, Pat, has been placing some free QP's and clusters there made with the Summer Fiesta Collab kit. You can find the freebies here. Scroll through the posts as there are several to snag. Be sure to check out the whole Collab on sale in the shop for just $3.00.